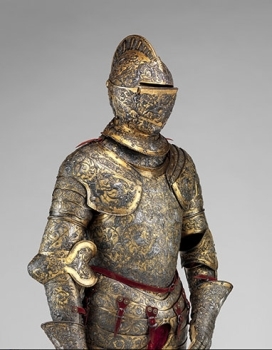 From dynastic armories and curiosity cabinets to Gothic Revival castles, private collections, and modern museums, armor and weapons have been methodically collected, studied, and preserved for their artistic and historical importance, beginning in the sixteenth century and continuing to the present day. This lecture will survey that legacy, particularly as it relates to the genesis of the major collections of arms and armor in leading European and American museums today, concluding with the growth and development of the Department of Arms and Armor in the Metropolitan Museum of Art over the past century. Arts of War: Artistry in Weapons across Cultures, an exhibition at the adjacent Peabody Museum of Archaeology & Ethnology, will be open following the lecture until 9:00 pm.